@james THANKYOU. In particular for taking the stable path. There are a lot of us that trust that you guys will do the appropriate things. (Not really a choice there but its good to know). I personally feel like the game balance is something that you guys take seriously. Im not always on the receiving side, but I do feel that you are using the feedback that we give you and tempering it properly with the long term playability. Long term = many months or years. I also appreciate that when possible you take test server feedback. Its really hard to sort so many player opinions BIG THANKS. I’m unable to enter game, says client is out of date, yet steam doesnt have any updates for me. Edit - fixed - I checked integrity of game files and it downloaded something which sorted it. Fix to the bot protection system that was flagging regenerated blocks as dug-up. Tho I’m actually kind of sad it was a bug. Nope, I was referring to the post I made in the same thread about replacing the Iron beams and poles with the Titanium ones and getting no xp for it. I can see how it seems that I was referring to the other regen bug that was fixed, considering I made the post on that thread, thinking at the time that the two might have been related. Shame you just can’t link individual posts here. It would help avoid the confusion. If you right click on the time the post was made you can copy a link to that specific post. If you paste it into this forum it makes the nice little preview and all that. Nope, I was referring to the post I made in the same thread about replacing the Iron beams and poles with the Titanium ones and getting no xp for it. I can see how it seems that I was referring to the other regen bug that was fixed, considering I made the post on that thread, thinking at the time that the two might have been related. Shame you just can’t link individual posts here. It would help avoid the confusion. EDIT NEvermind I see you did that above not sure what’s missing. Oh very nice. Thanks for that tip, Nightstar! I’ve noted it for future reference. EDIT: Oh wait, yeah, it still opens the whole thread, like what I did above. lol. With some other forums, you can link a single post and when someone clicks on it, they only see that post and not the whole thread. Something like that here would be a nice QoL thing. But, I think there are more important and bigger fish for the devs to fry these days. My fault. I only read the farm part and not the rest of it. Sorry. No need to apologise. I’ve been guilty of similar and sometimes worse oversights and goofs. The Oortian tools are so powerful they cause destruction in other worlds too. So if I am reading this correct The hot fix already went out for Regen farming? Cause I have been farming orbs for 10mins tonight and only gotten 1 orb. Doesn’t seem fixed? Or is this hotfix coming? I will be selling some. How much does one power a portal for? Base the price on that. 72 for 100 so just depends on what 1 provides. Update OP with details of the hotfix 219.2. Fixed additional cases of clients crashing when connection to the server is really horrifically bad. 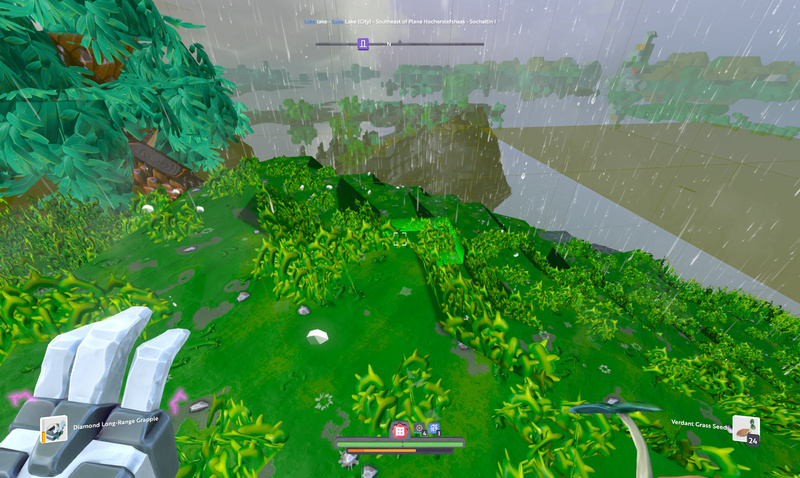 Fixed client crash when shooting a creature with a Rift slingbow with the Let 'em Bleed Boon. 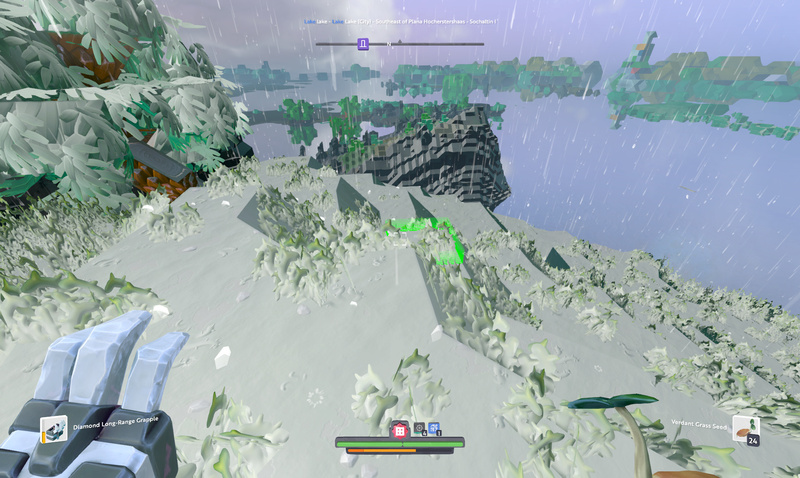 Fix bot-protection system for XP from manipulating the resource drops from recently mined blocks; this interacted badly with regen bombs to prevent resource drops from regenerated blocks that were recently mined. This is independent of the previously fixed issue where regen-bombs were flagging blocks as “dug-up”. but what about fixing for items? When did this sneak in? The recipes tab? Like two updates ago. Release 217: Guild Buffs, Advanced Locks, and Global Chat! 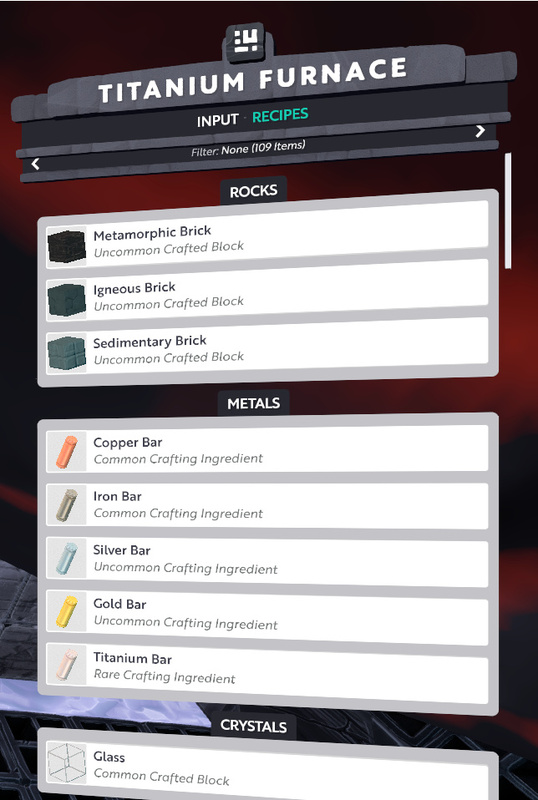 Furnaces now have a Recipe tab, allowing you to see what ingredients are required for crafting.